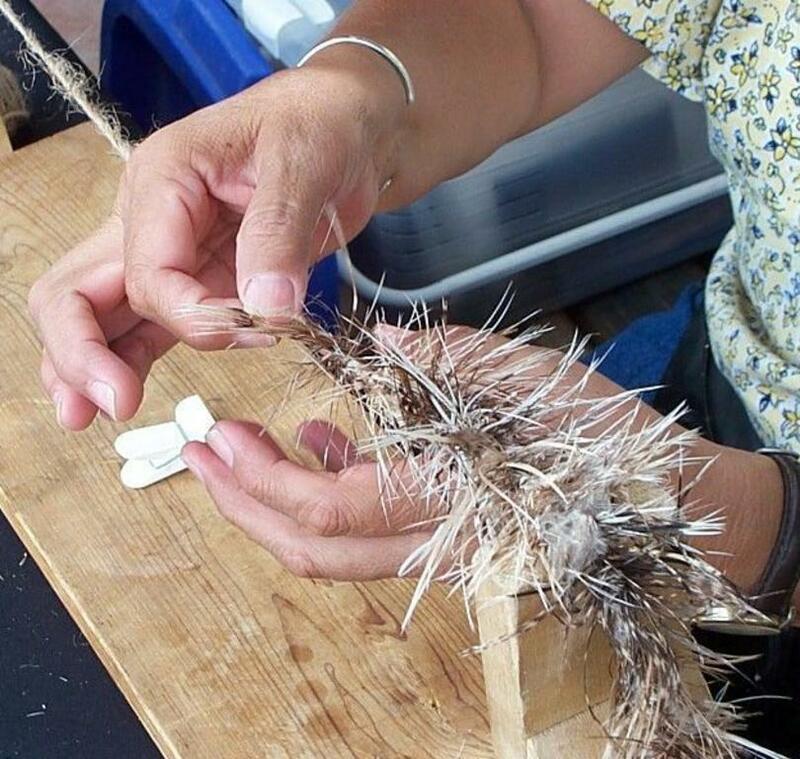 Step back in time with Caroline Lovato of Santo Domingo Pueblo and discover the Pueblo tradition of weaving turkey feathers and rabbit fur into blankets, cloaks, feather beds and fur beds. This ancient tradition is only known by a few living Pueblo people so we are very fortunate to have Caroline share this dying tradition with you. 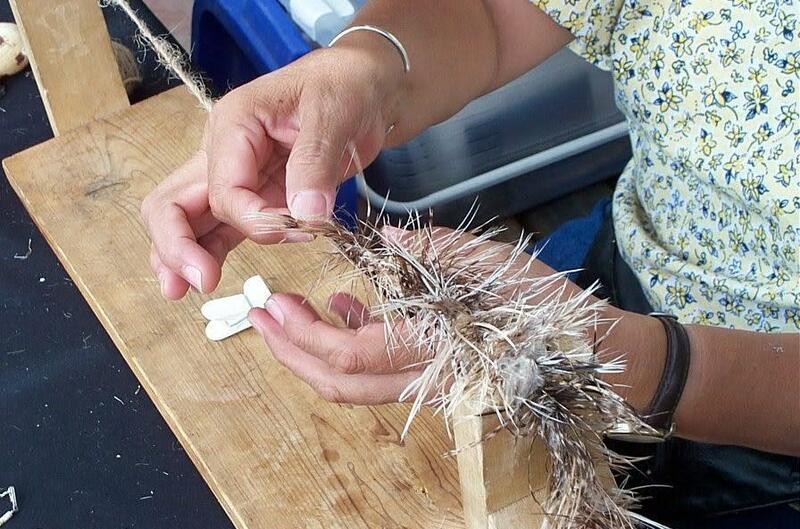 Caroline will set up on the visitor center patio, weather permitting, and will demonstrate the technique of weaving turkey feathers and rabbit fur right before your eyes. This demonstration is open to the public and free to attend. This demonstration is possible by support from Western National Parks Association (WNPA) and the New Mexico Humanities Council, which is supported by grants from National Endowment for the Humanities.